To me the RST Sport team is my Formula One pit crew, ready to squeeze every ounce of performance from my body. Whether it be in aerodynamics, nutrition, training, testing, racing, pursuiting or sprinting, every facet of my performance is recorded, measured, calculated and analysed finding improvements in speed, efficiency and recovery. RST is my personal sports institute devoted to making me faster. Selene worked with Coach Neil, for a little over 3 years, and is the editor of Bicycling Magazine. Coaching is as much about art as it is science. Anyone with working knowledge of physiology and the sport can cobble together a training plan. That’s the science. The art is knowing your athlete, digging in a little deeper on what makes them tick, and fine tuning the plan and your training approach for that specific athlete to meet that specific athlete’s need. That’s the art. And to that end, Neil Kent is an artist. I was already doing well when I started working with Neil, but he saw where I needed improvement (aka threshold tolerance on the flats) and the areas of racing in which I felt less confident (aka NERVES). He designed programs that systematically dissolved those weaknesses. I went into the biggest race of my life Brasil Ride with multi time national champion Rebecca Rusch with the most confidence I’ve ever had; raced stronger and smarter than I ever have, and emerged with a stage race sweep and overall win. Through it all, he always encouraged me to enjoy the ride; checked in regularly to be sure I was on point and feeling happy; and was as much a friend as a coach. I’d recommend his services to anyone. Alan Curtis was super happy to have been coached by RST Sport, and Coach Ric. Alan, smashed his PBs at 25-mile TTing and managed to put over 60-seconds into ex-Tour de France rider Sean Yates - who was the nearest rider to him, on several occasions. At the time Cycling Weekly, awarded Alan “Performance of the Week”. Alan said, “I’m absolutely thrilled to have won this award. Ric and I have been working together since December and I’ve managed to have some great victories this season”. 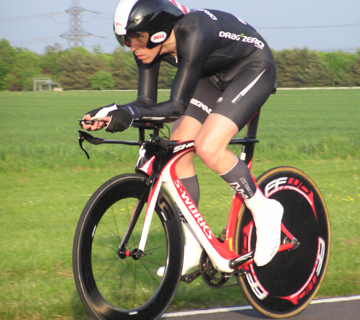 Coach Ric said, “Alan’s an incredibly hard working cyclist, and it’s given me great pleasure to see him do so well”. Colette represented Ireland at an international level and was coached by Coach Ric. “It's only with time and distance thinking back to 2005 can I fully appreciate what Ric was helping me to achieve. I had never properly organised or planned my training with clear objectives before having a coach. I remember that after a year of structured training with Ric how I felt so much stronger coming into the start of the new racing season. My confidence was up too as I could see my training power figures increasing. I was looking forward to seeing how it might translate with the racing year to come (only to lose it all by getting pregnant!). Nathan worked with Coach Neil, competing in both road racing and MTBing events. I’ve worked with RST for around the last two years, I came in already pretty well trained so making improvements was always going to be a hard task. Despite this I made some small measurable gains, the more subjective gains though really helped me improve as a cyclist; improved confidence in my ability and consistency which resulted in better race results. Callum Clarke, has worked with Coach Neil over the last few years, and he’s progressed significantly in his ability. 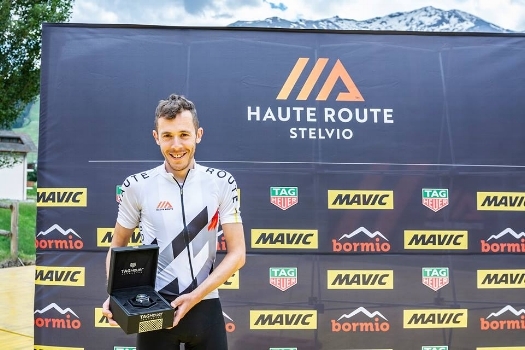 This year Callum won road races, and dominated in the inaugural Haute Route Stelvio Event. In fact he’s now got the 14th fastest time up the Stelvio behind Tour de France winner Vincenzo Nibali! Many of you who know about RST Sport, will know of Coach Alex Simmons. However, you may not know the full story. Alex is now our Technical Director, but before that he was a masters rider I coached. Alex loved track. I mainly coached him for track. At the conclusion of his race season one year, I sent Alex on a recovery spin. Things were never the same again. Unfortunately, Alex hit a gate that had been placed badly across a cycle path, and he ended up losing his leg (I think he’s given up looking for it now). To be honest I wasn’t sure if Alex would cycle again, but he joined RST as the Technical Director and started coaching riders alongside me. As Alex went through rehab he decided he wanted to continue riding, and I coached him. It was an absolute honour to help Alex back to his cycling, and then something happened. We had a little more time for training and Alex ended up beating his two-legged power PBs with one and a bit legs and a prosthetic. He won road races and track against able-bodied riders, and represented Australia (I can’t hold that against him as he is Australian!) in some Paralympic World Cup events . Ric Stern has coached me since March 2018. I had just started week 45 of 46 weeks training received from Ric, when unfortunately a health issue (unrelated to the cycling training) put a stop to my plans. 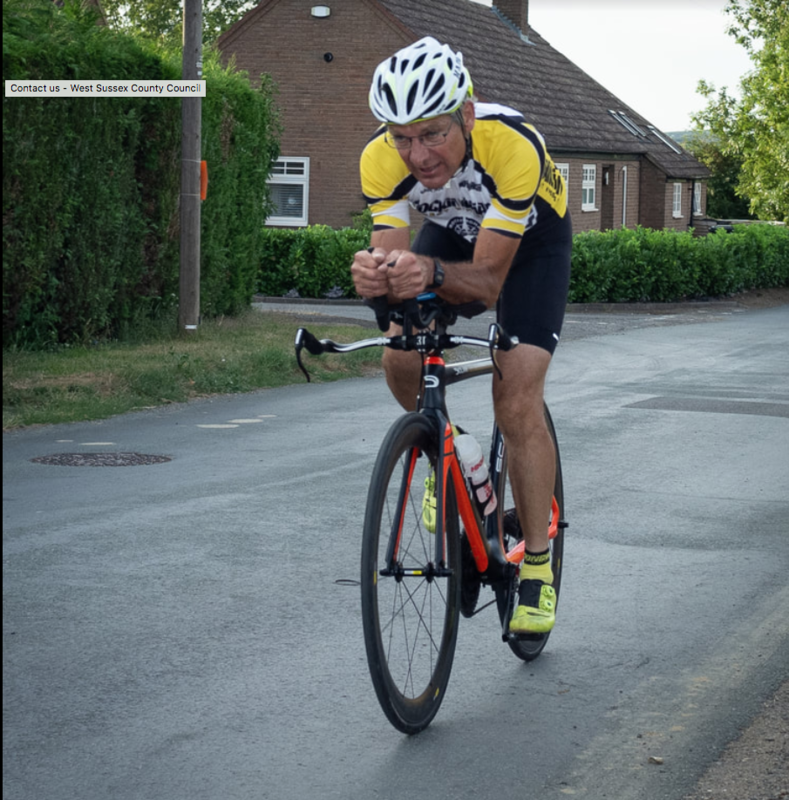 I was really looking forward to and feeling confident for the approaching road season of over 65’s League of Veterans road racing, and races like the Tour of Cambridgeshire, some time trialling and a few challenging endurance rides, Audax and the like. Having been cycling fairly seriously for about nine years (having done it in my teenage and twenties) but with a few interruptions and perhaps a little haphazardly, I decided to work with Ric because of his proven expertise and experience, to try and give cycling my best shot for a year or two more! I have been very satisfied. Although I think big gains in power are really hard to come by (especially at my age and I was pretty experienced rider already) I could feel the gains in fitness, ability to race over two hours and my racing performances improving over the year. Trusting in Ric’s training, which I was receiving every two weeks (and not wondering anymore if I was doing the right things) I just got on with it, with only a few workouts missed or failed. I felt it was quite a ‘strong programme’ based on my available hours but with Ric monitoring my workouts and training load, I never became over trained, despite this being more work than I had been doing. The consistent and progressing workouts every week were really working and I felt I would be able to do more. I was always looking forward to getting out on the road or jumping on the rollers, and getting it done. I think the consistency and time I had put over the last year was really beginning to pay off. I am hoping that I may be able to get back to training with Ric again in the near future. I had been aware of RST and Ric for a long time due to his contributions to an online cycling forum and had previously purchased a training plan from RST which I was very pleased with. I set out on a 6 month Aluminium contract and, despite this being the "entry" level in terms of available packages I was very impressed with the amount of contact I had with Ric, I was certainly expecting a lot less, but Ric always responded to any query which I had regarding the training or the actual mechanisms of how I would receive the plans etc. The plans arrived promptly and were very well constructed and easy to understand, my fitness levels undoubtedly increased during the time I was coached by Ric evidenced by the power numbers I was riding at. This was a period where I wasn't entering races but wanted to keep my fitness up and my weight in check, the plan certainly achieved this. The only thing which prevented me extending my contract was an injury, I hasten to add not caused by the training I was doing. Would I recommend RST? Yes I would. For me the personal treatment from RST changed the way I train, into a world of a scientific workouts. The revolution in my training habits helped me achieve a new level of fitness. With the guidance of Ric Stern, I achieved really nice victories, in the national championship and the Spanish race ‘Volta ciclista Vigo”. This season I will race for the professional team Amore & Vita, and it’s hard to imagine I would have reached this level without RST. Simply put, the backup and guidance i got from rst transformed the way I train, into a world of a scientific workouts and nutritions. The complete revolution in the way i train helps me reach higher levels of performance every season. Under the guidance of Ric Stern, I achieved some victories i could only dream of before, such as, in the national championship (2010,2011) and the Spanish race ‘Volta ciclista Vigo”. This season I will will be my 2nd season with the professional team Amore & Vita, and it’s hard to imagine I would have reached this level without RST.